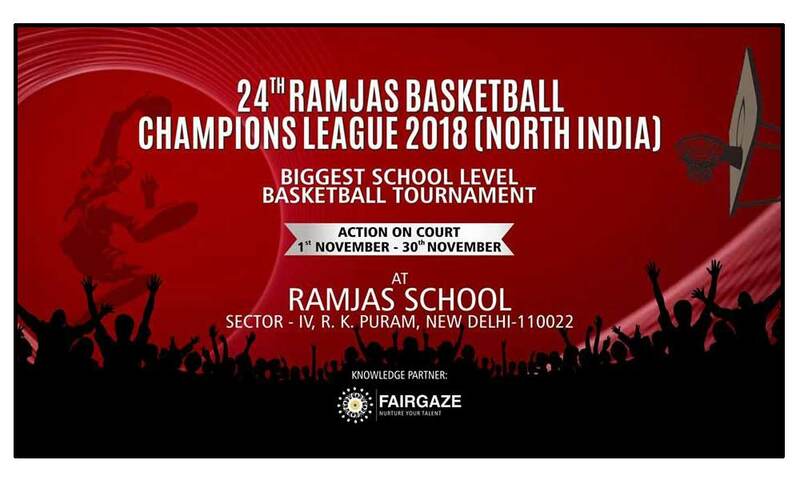 24th Ramjas Basketball Champions League 2018 will be conducted in Ramjas School R.K.Puram from 1st to 14th November. 24th Ramjas Basketball Champions League 2018 (North India), is scheduled from 1st November to 30th November 2018, to be held in Ramjas School R.K.Puram. It is the most prestigious Inter School Basketball Tournament, hosted by Ramjas School, R.K.Puram, is played amongst the leading schools of the Capital and NCR. It has grown to become the largest tournament in India at the school level. The tournament is supported by elite organizations, namely ONGC Limited, Grover Audio Visual Services, Shiv Naresh Sports, UBON Born To Be Free, Nestle, Delhi Basketball Association and Junior N.B.A (India). For more information contact us at sunitasharma71290@gmail.com / 7978619733.